Located off the coast of the Arabian Sea, the beautiful city of Kozhikode or Calicut as it is also known was often considered to be a gateway to Kerala as well as a gateway to India. Today one of the most popular tourist destinations in Kerala, Kozhikode is visited by countless people each year. Thus, if you are planning a trip to Kerala, make sure you include a trip to Kozhikode as an integral part of tour itinerary to Kerala. As you enter this ancient city, be prepared to be swayed off your feet by the picturesque locales of Kozhikode, its rich culture and the warm hospitality of its people. 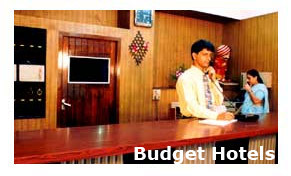 For travelers on a shoe string budget trip to Kozhikode, the various budget hotels of Kozhikode can prove to be the perfect boon as they combine the apparently opposing qualities of affordability and luxury and promise their guests an ideal holiday in Kozhikode.